The most commonly seen body part is the face. Therefore, having a white face, clean and shining must be the dream of everyone, especially women. Because with a glowing facial skin we will always feel confident otherwise The skin of the face that lose its light and become dull will certainly make us feel less confident, especially when meeting with friends or someone special. Genetic factor is meant here that if our skin type is already oily. Oily skin types are more likely to have dull skin problems, because the excess oil glands can make skin look dull and less luminous. Likewise with the type of dry skin, dry facial skin and oil production shortages can cause skin looks dull. In this day and age, the level of demands of life and also work is very high. this impact on the level of busyness and stress levels are also increasing. Therefore, not a few people who have a solid activity that makes them forget the healthy lifestyle.for example eating too often fast food, smoking frequently, drinking alcohol often, staying up late, and lazy to exercise. These habits are very influential on the health condition of our skin. Unhealthy environmental conditions can also affect skin health. For example we live in an industrial factory or we live in a place that has poor water quality or dirty air pollution. As a result our skin looks dull due to lack of nutrient intake and absorb too much harmful substances that are not good for our skin health. Dull skin can occur because of dry skin, for those of you who have dry skin, you should regularly use facial moisturizer containing AHA (Alpha Hydroxy Acid) which has the benefit to brighten dull skin. That way our skin will always be moist and will not dry.if you have oily skin, you should choose a moisturizing product that does not contain oil. Apart from the outside of the skin also requires intake of nutrients from within that is by eating healthy and nutritious food. Some types of healthy foods are good for the skin such as vegetables, fruits and various types of foods that contain vitamins that are good for the skin, especially vitamin E for healthy skin is maintained properly. 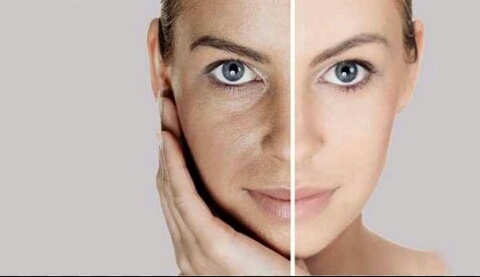 Chemical Peeling is a facial treatment that aims to exfoliate dead skin cells. This facial skin care can make the skin look cleaner, brighter and not dull. To perform this treatment, you can visit your salon subscription. The purpose of exercising so that blood circulation in our body smoothly, so skin nutrition will be distributed smoothly. In addition, facial skin will spend a lot of sweat when exercising. Sweat that comes out of the skin will bring with it the dirt in the pores. Facial is one type of beauty treatment to cleanse the facial skin, if we regularly and regularly perform facials can make skin look clean, glowing and not dull. This is because, in the process there are several stages done in cleansing the skin and provide nutritional intake for the skin by masking. 0 Response to "5 Ways To Take Care Of Face Skin To Not Dull"